Ranked within the top 1% of universities worldwide, UCD has over 30’000 students from over 120 countries. We have over 30% of international students in the seven Irish Universities. International students make up 25% of our student body. We are partnered with 400 universities across the world for students to undertake exchanges with during their degree. 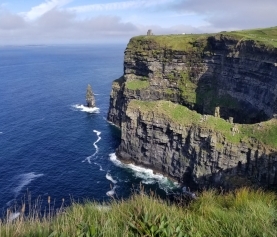 In fact, 18% of our undergraduate students take the opportunity to study abroad during the degree, which is the highest level of any university in Ireland. You can read more about UCD here. 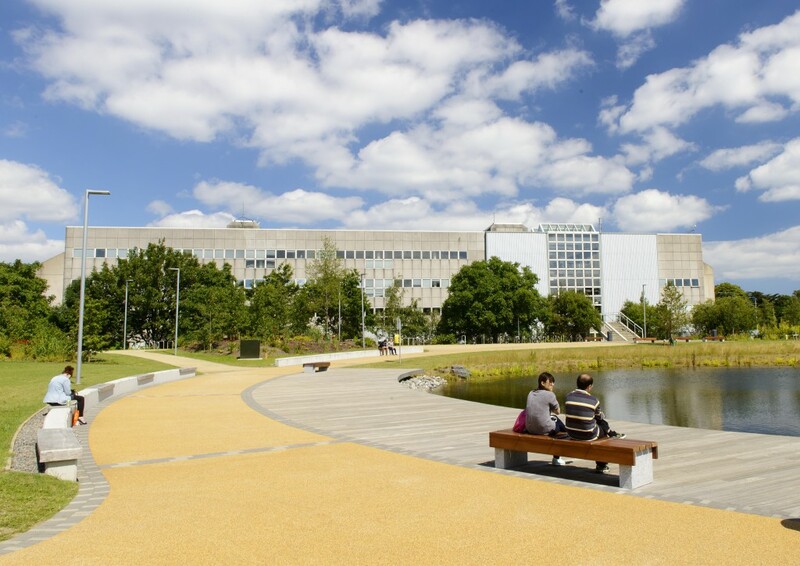 UCD’s main campus is based on a 130 acre hectare parkland estate. But this means lots of space, and in case you were worried about getting wet when it rains, we have concrete overhead shelters running between the buildings. The Belfield campus was once 11 separate period estates, and 7 of these survive today. if you wander around campus you’ll find Belfield House, Melville House, University Lodge (residence of the President of UCD), Ardmore House and Woodview House. You can find out more about the origins of the Belfield campus and its original estates here. Our brand new Sutherland School of Law was completed in 2013 and is the first purpose built law school in Ireland since Kings Inn in 1816. It features the Arthur Cox Clinical Legal Education Centre which provides negotiation and arbitration suites, a Judges Chamber, Witness Room and Moot Court. Our modern Lochlann Quinn School of Business provides multiple unique facilities to students such as the presentation studios featuring audio visual technologies for students to practice their presentation skills. The building also has collaborative work spaces where students can work in teams for group work, presentations or projects while the small classrooms facilitate student-lecturer interactions. The Deloitte Data Analytics Lab provides students with access to Bloomberg financial data terminals. The Newman Building was opened in 1970 and is home to the BA in UCD. The BA degree has the largest number of students in every year (approximately 1600) making it the largest course in Ireland. Aside from lecture theatres and classrooms, the building houses the National Folklore Collection and the UCD Classics Museum featuring some fantastic examples of greek vases, greek and roman coins, bronze objects and Egyptian antiquities. Tunnels in the basement of the building connect all the lecture theatres and tunnels on the upper levels provide connections to the library and the Tierney building. In the heart of the building is An Cuis, a social space used for hosting events such as tea/coffee mornings, pancakes on pancake Tuesday and chocolates for Valentines day. The state of art O’Brien Centre for Science opened in 2013. The original science building underwent a re-development plan to upgrade existing buildings and expansion of the facilities at a total cost of €300 million – representing the largest single capital investment in Science in the history of the state. The centre is home to 2000 undergraduate and 2500 postgraduate students, representing Irelands largest scientific community. 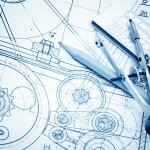 Our School of Engineering opened in 1989 and is the largest engineering college in Ireland. It is divided into 6 schools: chemical, civil, electrical, bio-systems, food, mechanical and materials. Academics from the schools are members and fellows of organisations such as Engineers Ireland, the IChemE, the IEEE, Royal Irish Academy and the Royal Academy of Engineering. Within the building is the steam beam engine installed originally in the Jameson Distillery on Bow St in Dublin in 1884. Students benefit from the buildings designated lecture theatres and large laboratories in the basement of the building. Our Health Science building is the home of the Schools of Medicine, Nursing, Physiotherapy, Sports and Public Health with approximately 4000 students. The building offers a multi-disciplinery environment where students can train and develop together. Students also benefit from a a unique Health Sciences Library and clinical skills laboratories where they learn basic competencies. The UCD Veterinary Sciences Centre and Veterinary Hospital provides a modern environment for students of veterinary medicine and veterinary nursing. UCD is one of six European veterinary schools accredited by the AVMA or American Veterinary Medical Association, meaning our graduates are eligible to apply for a license to practice veterinary medicine in the US or Canada. In order to obtain this licence students have to sit and pass the NAVLE (North American Licensing Exam) which our students have done very well in over the years – figures from 2015/2016 show that 87% of candidates sitting the exam passed. The Veterinary Hospital provides a state of the art referral service for the animals of Ireland. The hospital caters for both small and large animals with the primary species seen at the hospital including dogs, cats, horses, cows and sheep. The services are broken up into small animal medicine and surgery, large animal surgery, large animal medicine, herd health and equine medicine. There is also full diagnostic services provided within the hospital from blood work to histopathology and a range of imaging modalities. Students also benefit from our Clinical Skills laboratory where they can learn basic competencies. 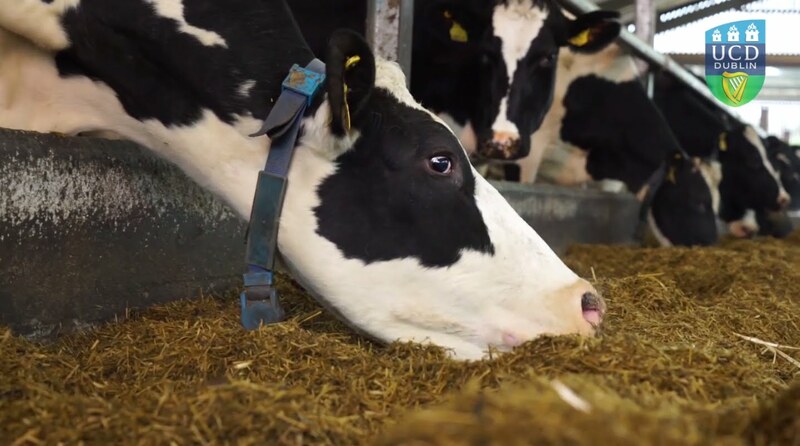 We are the only university in Ireland to have a dedicated School of Agriculture and Food Science and our programs are unique as they span over the entire food chain – from farm to fork. Agriculture and forestry are one of the nine subject areas in UCD ranked in the top 100 Universities World QA rankings. Students of agriculture in UCD also benefit from the 220 hectare Lyons Research Farm, a dedicated teaching and learning facility in Newcastle, Co Kildare used by undergrads, postgrads, staff and graduates. Our main library (there are 5), the James Joyce Library is located over 4 levels and contains approximately 1.5 million books and journals, 2500 study spaces and receives 2 million visits annually. Collections held are for arts, celtic studies, human sciences, business, law, science, agriculture and engineering. The library also houses a special collection containing unique books and manuscripts. Regular exhibits are held both within the library and online with past exhibits include 1916, Thomas MacDonagh, W.B Yeats and his muses, History of Medicine. Research in UCD spans across and between disciples to tackle challenges facing the economy, society and culture. What this means for students is that their lecturers are involved with and delivering the most up to date knowledge. We were ranked number 1 for research in Ireland in the Times Higher Education Ranking, 2016. We have a huge variety of support services for students across all stages of their time at UCD. Incoming first year students benefit from being assigned a Peer Mentor – a student in a higher year, in the same school, who is there to help guide first years through the transition from secondary school to college life. Peer Mentors are available for their students to meet with them, they organise mini meetings to check in with their mentee’s and provide practical advice to students to help them settle in quickly to college life. All students also have access to dedicated Student Advisors with an advisor based in each school. These advisors are available to students to answer queries, provide advice or simply to listen. On a campus level, students have access to the UCD Students Union who are there to represent students, listen and provide advise. UCD also has a Chaplaincy Service who again provide support, advice or an ear to listen. 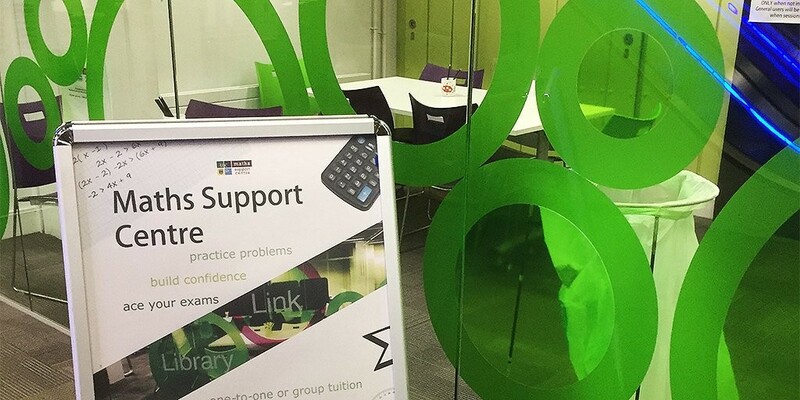 On an academic level students have access to services such as the Maths Support Service and Writing Support Service, both of which operate drop in clinics to help students who have difficulties with course material or those who want access to additional materials to help them with their studies. Additionally, lecturers have office hours and are as such available to students. If you live on campus you also have access to the Res Life Programme which aims to promote community within the residences. Organised events include fitness classes, weekly football, cooking classes, monthly book club, bi-monthly cinema nights as well as annual events such as formal dinners, a Christmas fair, free trips to IKEA, an outdoor cinema and an end of year carnival. More information about the Res Life Programme can be found here. We also have a Career Development Centre who help students identify and develop skills necessary to tackle the modern working environment. The Career Development Centre provide consultations, organise employer events and advertise employer vacancies through their website providing an invaluable resource to students. 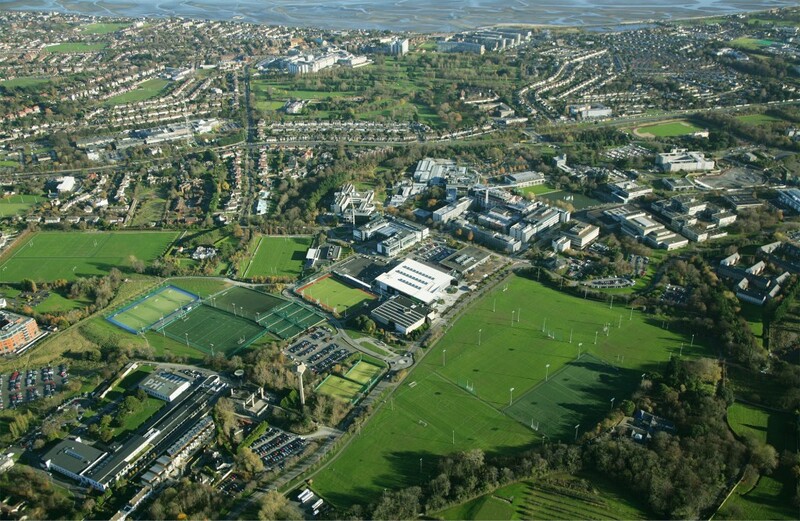 UCD has over 70 student societies which students can join at any point during the year. Societies offer a great opportunity for students to make new friends, develop their skills and try something new. From the Harry Potter Society to the Microbiology Society there is something to suit everyone. To see all of our societies and check out their events see here. 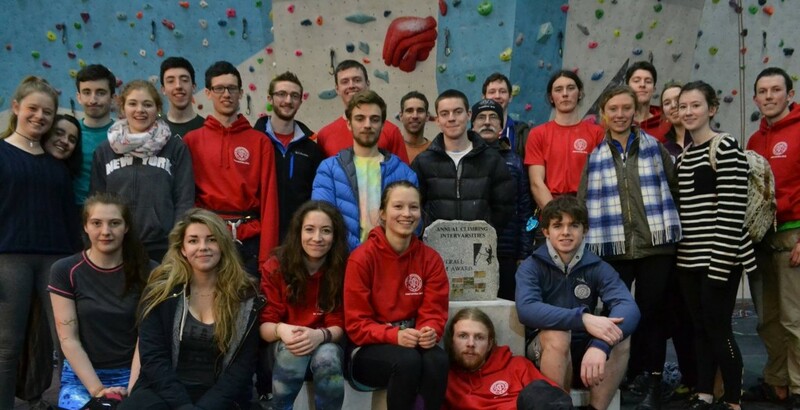 Additionally UCD has nearly 60 sports clubs open to all levels from students wishing to try something new and different to those who have already competed. To check out our sports clubs see here. We also have two student run newspapers, The University Observer and the College Tribune. The University Observer was founded by Pat Leahy and Dara Ó’Briain and has since its launch in 1994 provided numerable notable Irish journalists. The newspaper has received many awards including been awarded newspaper of the year five times in the National Student Media Awards (SMEDIAS). The College Tribune was founded in 1989 by Vincent Browne and has also produced many notable Irish journalists. It has a strong tradition in sports writing, winning numerable awards and also receiving the title of Newspaper of the Year in the 2017 SMEDIAS. If you prefer talking to writing we have Belfield FM, our student run radio station founded in 1990. Belfield FM broadcasts live from 12 Monday to Friday from their Radio Pod, located within the Student Centre. We have a hugely successful Fashion Show each year, which has in the past been the largest student fashion show in Europe. You can check them out here. Each February the UCD Musical Society hosts the UCD Community Musical. Past productions include Legally Blonde, Beauty and the beast, Footloose, Guys & Dolls, West Side Story and a 3 AIMS award winning production of Phantom of the Opera. 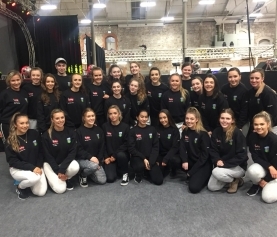 The musical brings the entire UCD community together each year and is both a fantastic way for students to be involved in the production of such a large scale event as well as for staff, students and alumni to attend the productions.